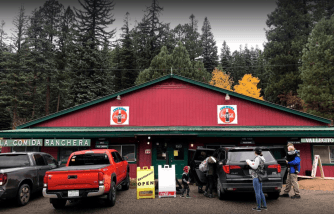 "The Country Market", as locals commonly call us, is also home to La Comida Ranchera Mexican Food Restaurant and Vallecito Liquors, making us the one stop shop for everything you need at Vallecito Lake. We are located in the beautiful Four Corners area of Southwest Colorado and nestled in the San Juan National Forest only moments away from the Weminuche Wilderness. Whether you’re visiting Vallecito Lake for the day or hanging around for a while, stop in for groceries, gas, propane, beverages, home made fudge, mexican food from La Comida Ranchera, and a wide selection of local beer, wine, and liquor. Chips, Salsa's, Chilies, & More! If you ate at La Comida Ranchera Mexican Food for six months straight, you could eat 3 completely different meals a day - unless you find a favorite meal, which you’re likely to! From tacos to chimichangas and enchiladas to chili relleno, La Comida Ranchera runs specials on a variety of food to please whatever appetite you come in with. With spicy green chili, burgers, and pizza, there’s no craving we can’t satisfy! Keep checking back for more specials. After you grab your groceries, your gas, and a nice dinner from La Comida Ranchera, drop by Vallecito Liquors to grab a six-pack of locally brewed beer from places like Ska Brewing and Durango Brewing Company. Or on a winter’s night, grab some Honeyville Whiskey to warm your insides. 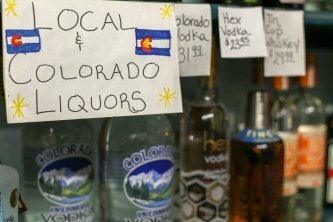 Vallecito Liquors has a wide selection of local beer, liquor, and wine all packaged and ready to be taken home. This is just another part of our one stop shop at Vallecito Lake Country Market.